Groundwater is the water present beneath the Earth's surface in the pore spaces in soil, sand, or gravel and in the fractures of rock formations. A unit of rock or an unconsolidated deposit is called an aquifer when it can yield a usable quantity of water. Click here to view the short video "What is Groundwater?". 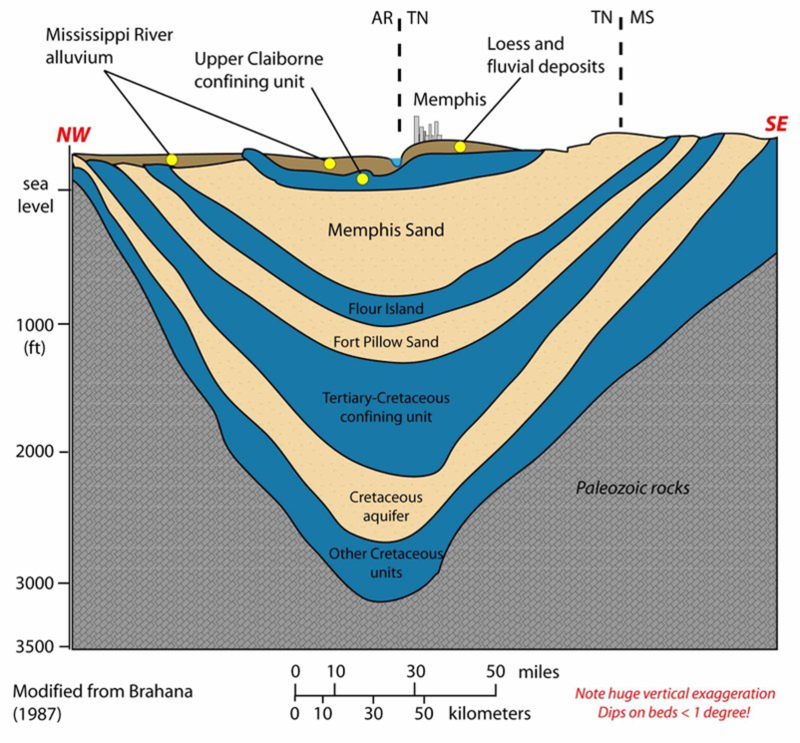 The Memphis Sands Aquifer is the source of public drinking water for Memphis and many other communities in the Midsouth. Click here for the short video "What is Groundwater?". CAESER is a new center that combines the efforts of two previous centers, the Center for Partnerships in GIS and the Ground Water Institute at the University of Memphis.